A pancake breakfast and hamburger/hotdog lunch will be served. A classic Pattern contest brings back competition of the 1970's and 1980's. 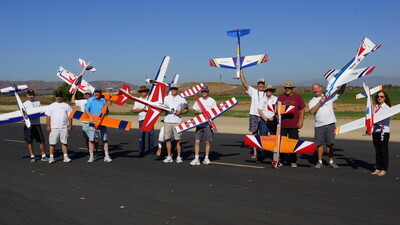 Many of the participants will even fly with airplanes, radios and engines of the era - although this does not help with the scores. Almost any 40 - 60 size airplane glow or electric is allowed to fly in the Pre-Novice and Novice classes. Advanced and Expert classes, we like to see an airplane more of the era. 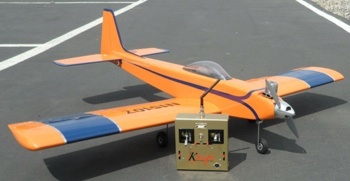 There are a couple ARF's that you can buy today, the most popular is probably the Tower Kaos 60 and 40. We are looking for a style of flying, one maneuver at a time as indicated on the "call card". Can you fly a straight line? Can you roll? How about a loop - or 3 loops. Classic Pattern Association (www.classicpatternassociation.com) is a site you might want to look at. There is a membership fee of $15.00 a year but membership is not required to join our event. The site will also have the "call cards" as well as a written description of the maneuvers. Give Classic Pattern a try! You probably already have an airplane you can enter. Note: The 400 foot altitude restriction is in place. Fire Extinguisher required in your pit area. You will be asked to spot for the next pilot after your round - a lookout for full-scale aircraft. Field closed to open flying. AMA sanction received.